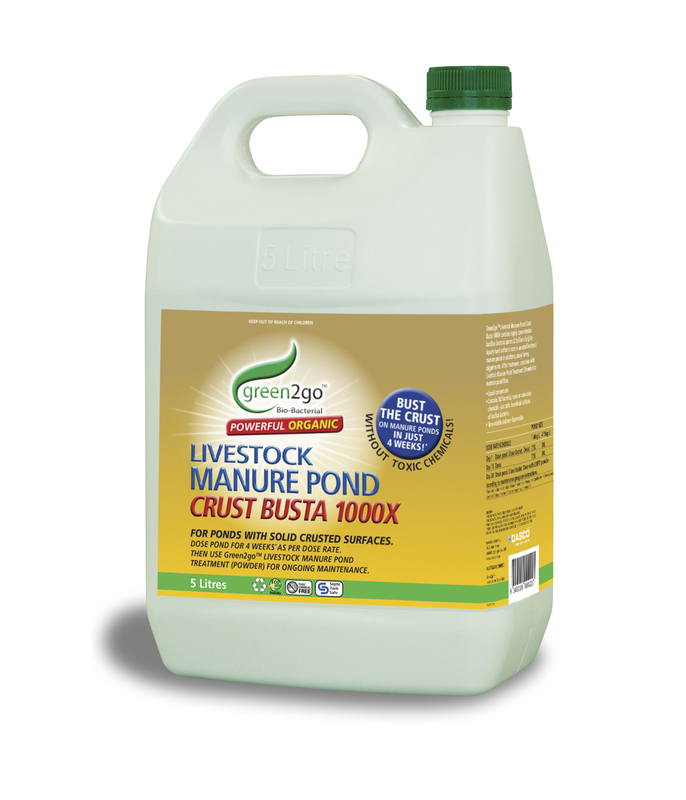 For ponds with solid crusted surface. 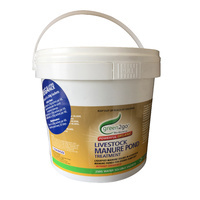 Green2goTM Livestock Manure Pond Crust Busta 1000X contains highly concentrated bacillius bacteria spores (2 trillion cfu/g) to liquefy hard surface crusts in aerated livestock manure ponds in abattoirs, dairy farms, piggeries etc. 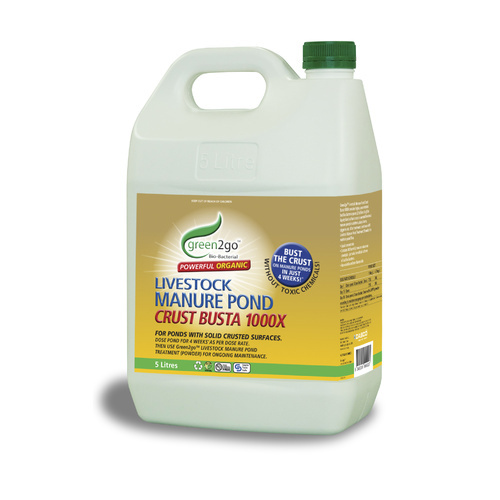 After treatment, continue with Livestock Manure Pond Treatment (Powder) to maintain pond flow.